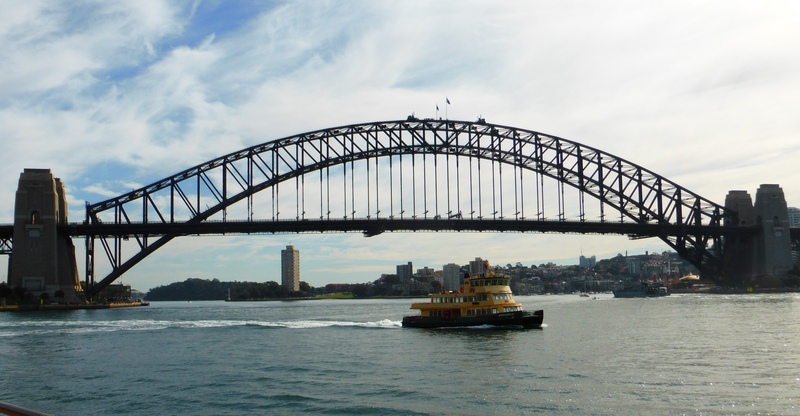 If anyone ever asks me what to do in Australia I always say “spend at least two days in Sydney, go to the harbour and ride the Manly Ferry.” This might upset my Melbourne friends because of the rivalry between the two biggest Aussie cities but where Melbourne scores for liveability Sydney scores for its setting. 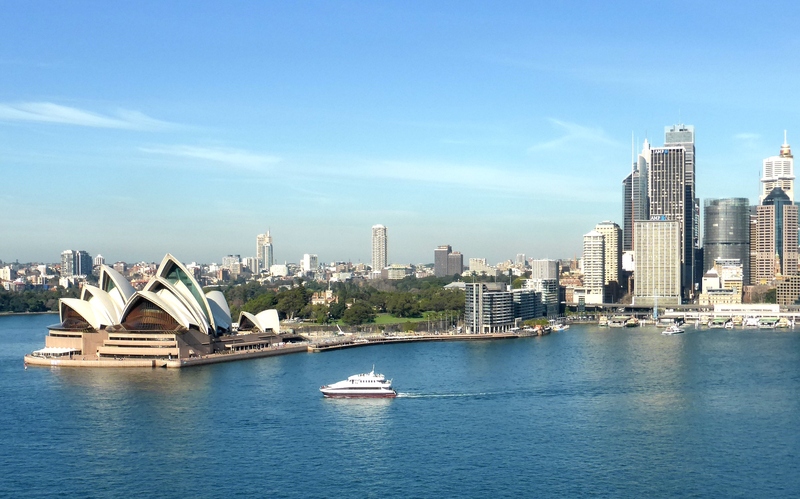 My enjoyment will not surprise readers of the blog who have already read my fondness for waterside cities such as Stockholm, Vancouver and Budapest but even against that competition Sydney is almost a “bucket list” place for me. 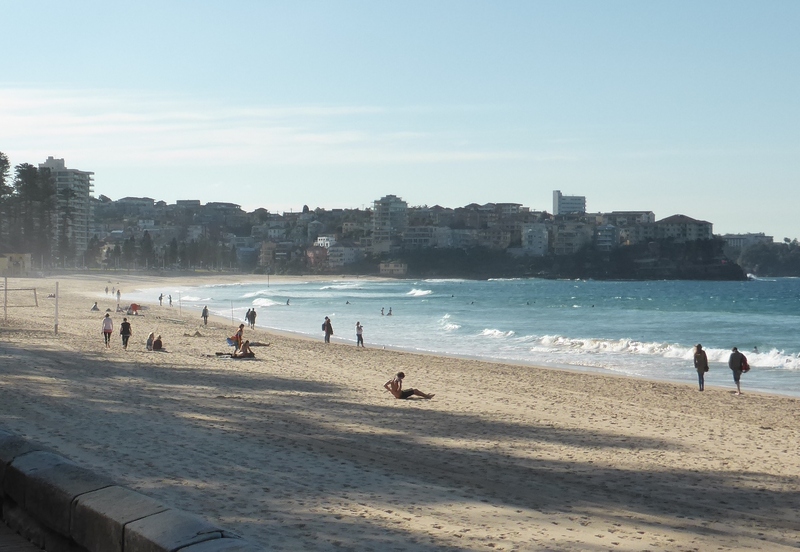 I first came here on a work trip from Melbourne in 1985. This was something my colleagues did almost once a week, flying between the two main Australian cities on business is just like catching the bus. But I could not be so relaxed, as a junior in the office I didn’t know how many times I would get the chance. So on that first trip I arrived in my city centre hotel, threw down my bags and almost ran through the night and the pouring rain to the Harbour Bridge. Soaking wet I walked out onto the bridge for view of the harbour and the Sydney Opera House. Despite the weather that first view over the harbour and the perfectly positioned Opera House did not disappoint and it never has done since. 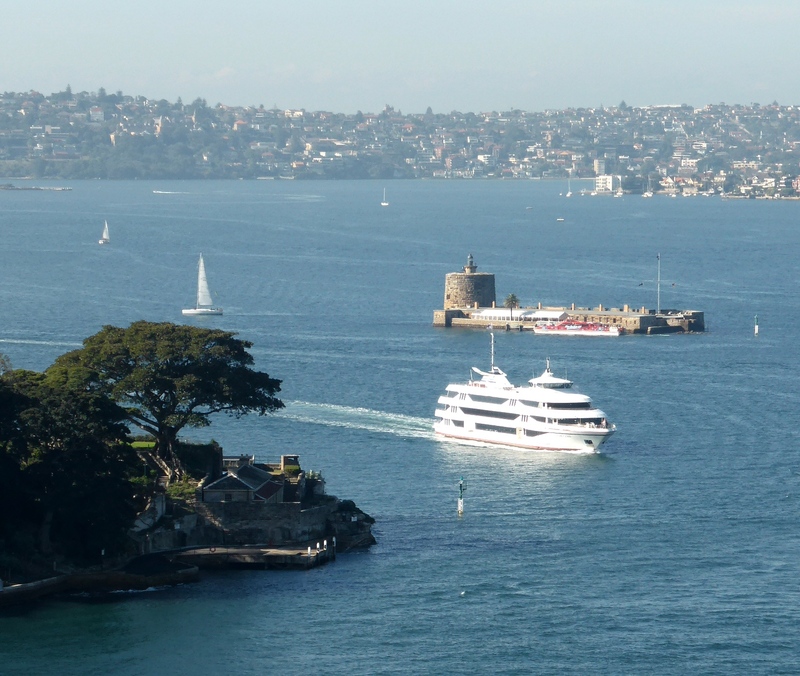 Apart from that very first time we have also been blessed with fabulous weather, so I always visualise Sydney with bright blue skies, sparking waters and shining white sails. 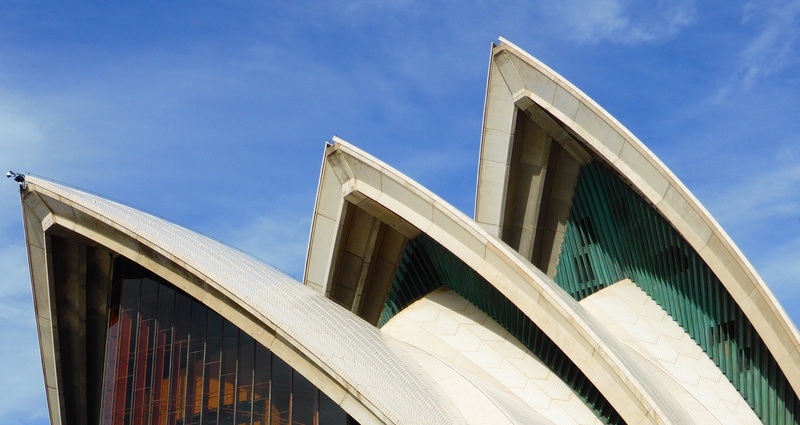 That is what is supposed to have inspired Danish architect Jørn Utzon when he conceived the seemingly unbuildable Opera House in 1957. 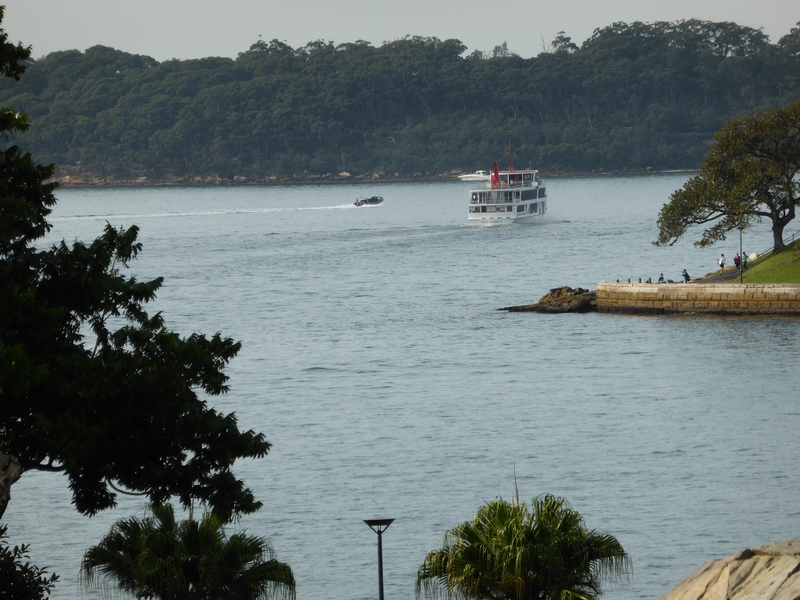 Sydney Harbour is now a personal pilgrimage too. My very first holiday with the girlfriend who became my wife, with my brother en route to my wedding in New Zealand and this time celebrating 25 years of our marriage. Somehow Sydney has been there in the background, not somewhere we can go to every year but always there in the milestones. 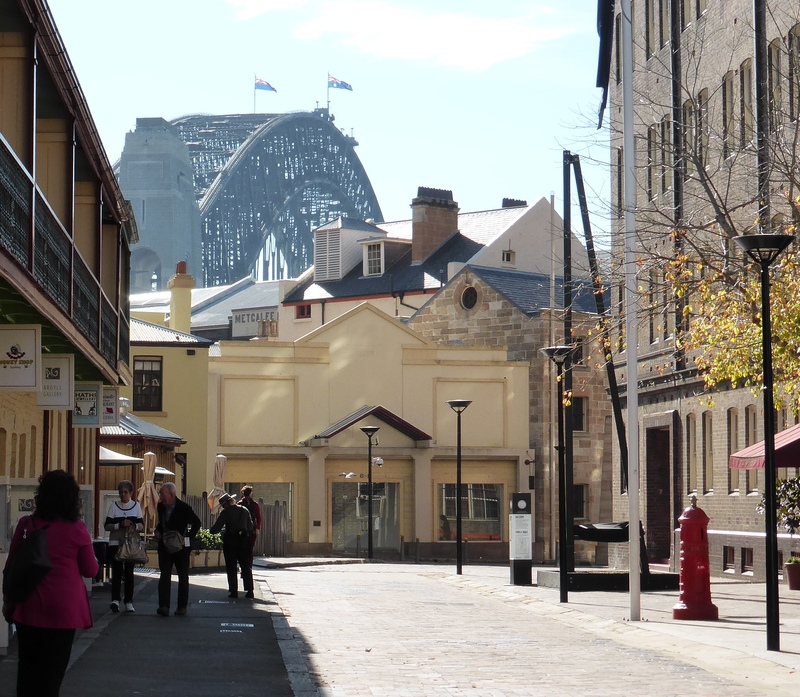 This trip we went into the harbour area twice, taking advantage of the weather which again was a beautiful twenty degrees, autumnal by Sydney standards but wonderful for visiting. Going twice also allowed me be a bit of a transport geek too because we combined walking, trains and ferries which in Sydney offers some great perspectives. 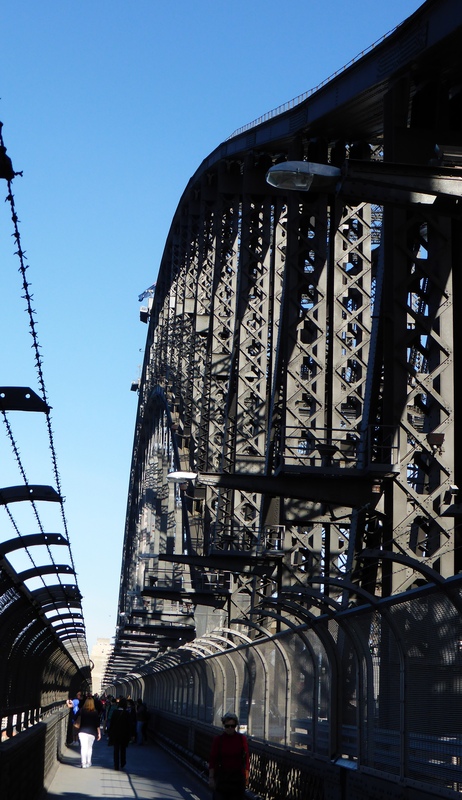 We crossed the Harbour Bridge both on foot and by train. 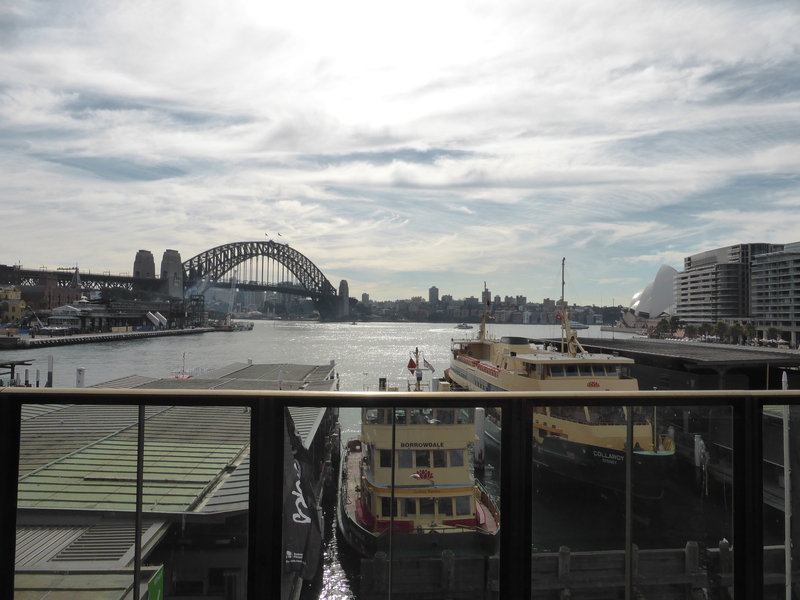 We arrived by train at Circular Quay Station which means you can step off the train straight onto an open platform with stunning views. I am not exactly sure how I found out that the Manly Ferry was one of the best ways to see the harbour, I can only guess that it was in my very early edition “Lonely Planet Australia”, all witty asides and affectionate line drawings that made them the freshest, brightest new travel guide books emerging. My copy was my travel bible in Aussie so that must have been it. The harbour ferries are of course public transport, you don’t get a fancy commentary in 20 languages or cushioned seats like the harbour cruises. 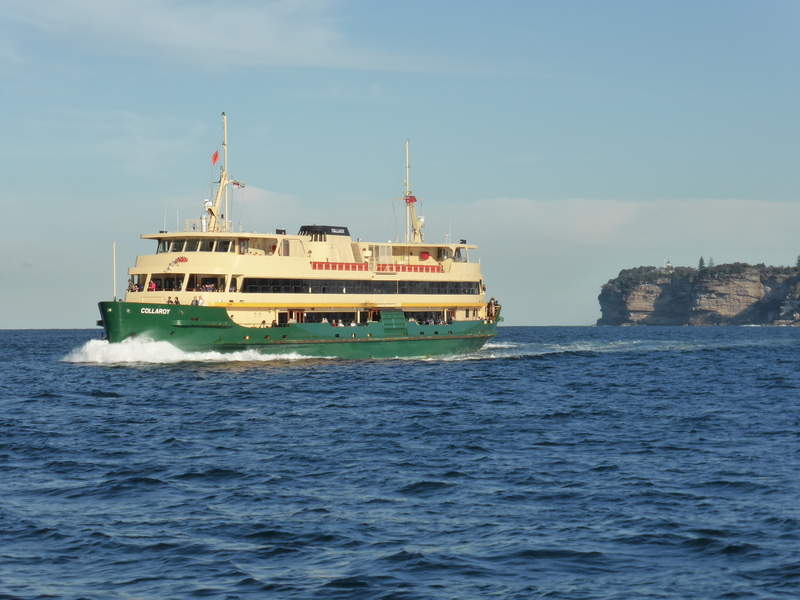 What you get is a solid workhorse of a boat that takes 30 minutes to sail the length of the harbour out to the seaside suburb of Manly. 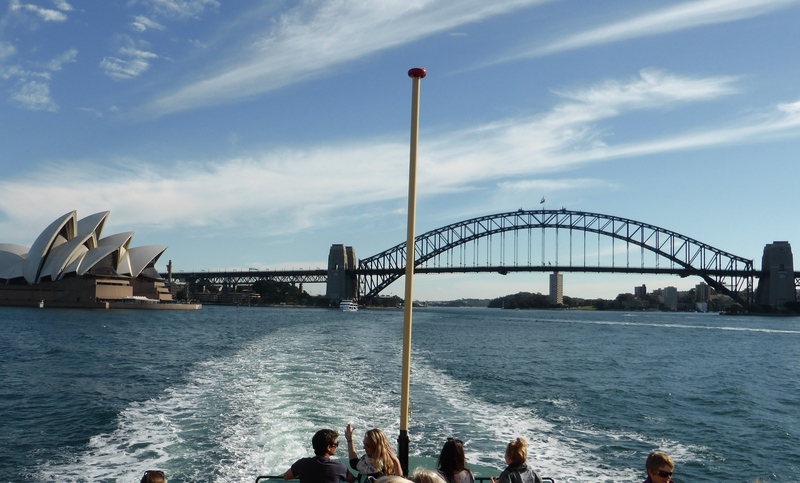 But in its first ten minutes it pulls away from Circular Quay, swings past the Opera House and then positions the Harbour Bridge perfectly beside the Opera House in a classic Sydney panorama, all included in the price of your day pass for boat, train and bus. As public transport trips go this has to be one of the best in the world. 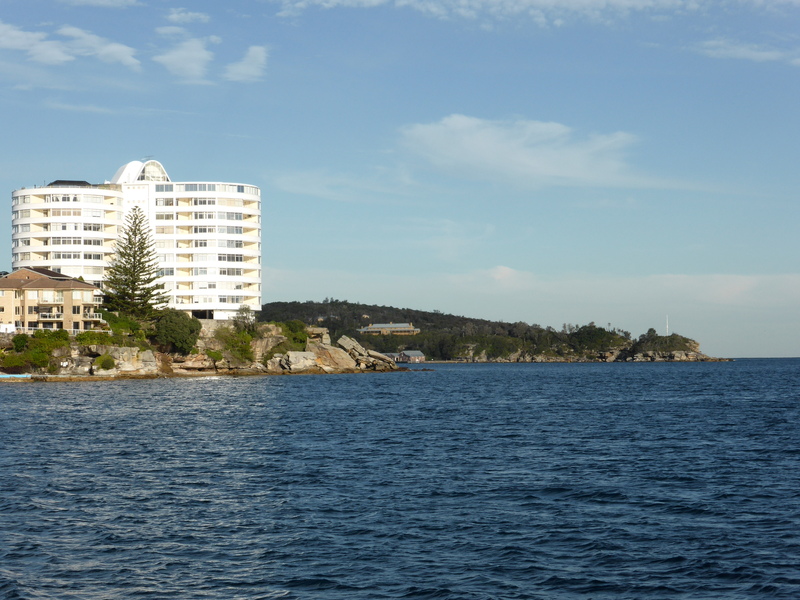 With two days we were able to do all my favourite things without any time pressure, in particular were able to make the trip out to Manly a leisurely lunch cruise. 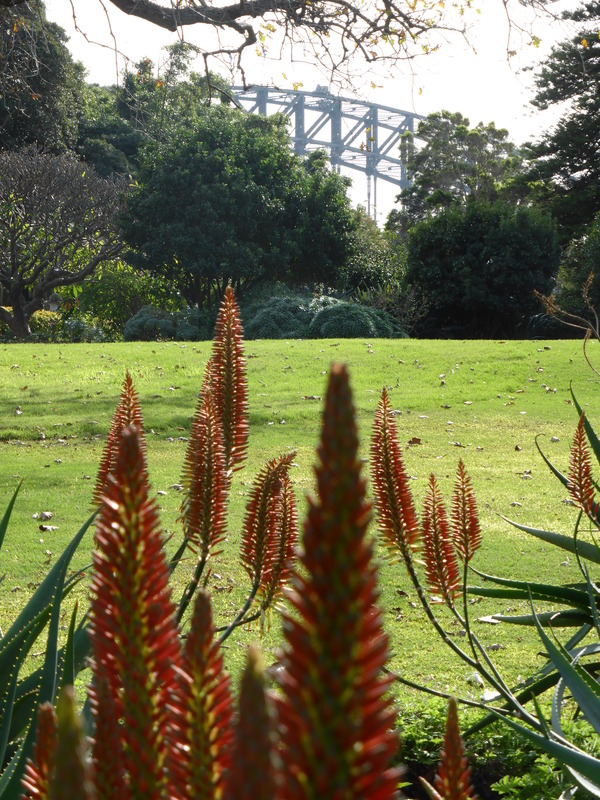 Afterwards we joined the joggers, walker and the flocks of birds on the restful Botanical Gardens which along with the Governor’s House occupy the peninsular behind the Opera House and separate it from the city centre. 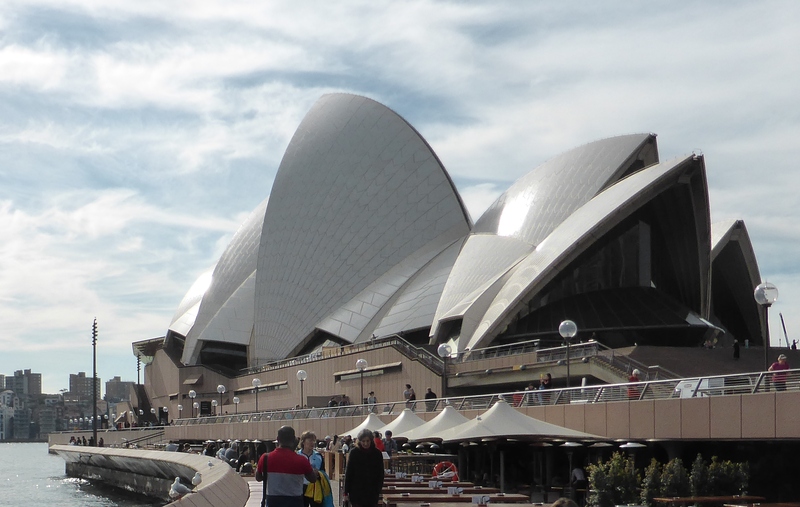 When you feel a bit overloaded by wandering and the tourists around the Opera House you can walk just 200 metres, jump on the ferry and relax. 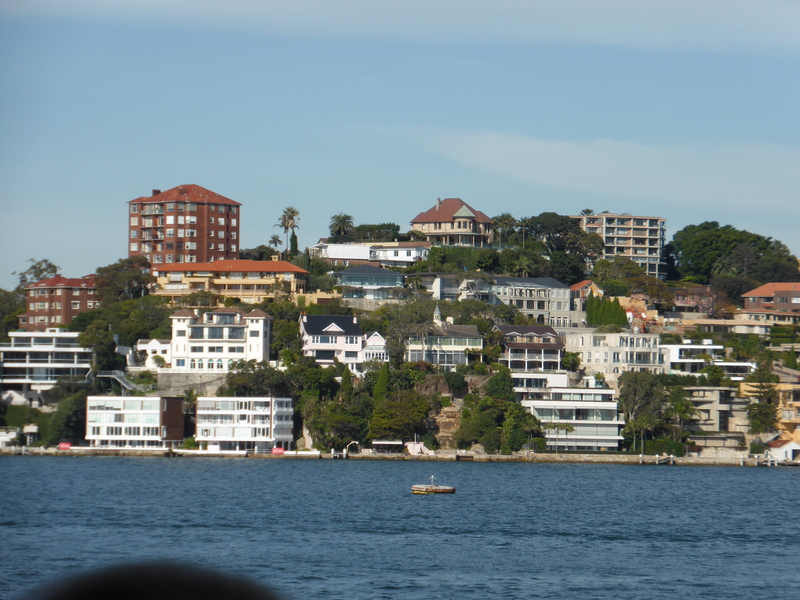 As well as the views of central Sydney at the start you can see some of Sydney Harbour’s coves and beaches where many of the most exclusive houses in the Southern Hemisphere can be found. 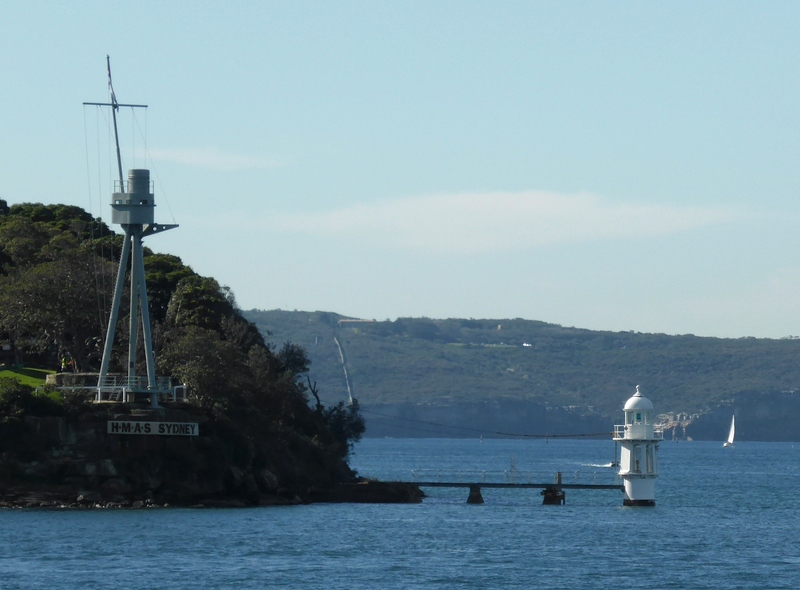 There is a view of the spectacular rocky headlands heads that signify the mouth of Port Jackson, Sydney Harbour’s official name, then the boat pulls up gently at Manly. 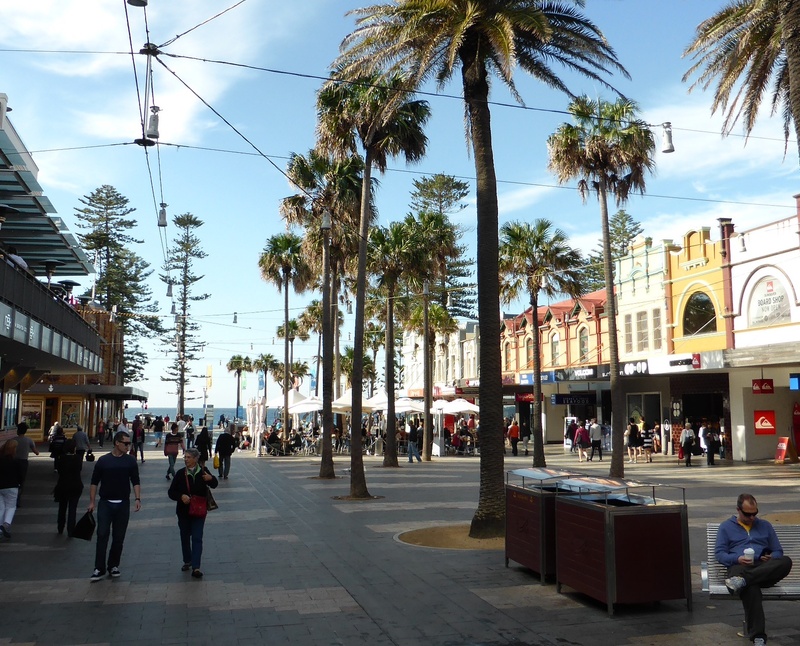 Once out at Manly an almost Mediterranean pedestrian street lined with palms connects the Quayside on the sheltered harbour to the rolling waves of the Pacific. There were quite a few surfers and swimmers out there despite the fact that this was the start of winter and almost the shortest day of the year but the fact that we were “off season” gave the excuse to take a spot in an attractive café with a sea view and take it all in over lunch. And of course on the return the views are just as good. I am still smiling as I write these words and edit my photographs. Many people visit Australia for its great and unique natural beauty, and so they should. 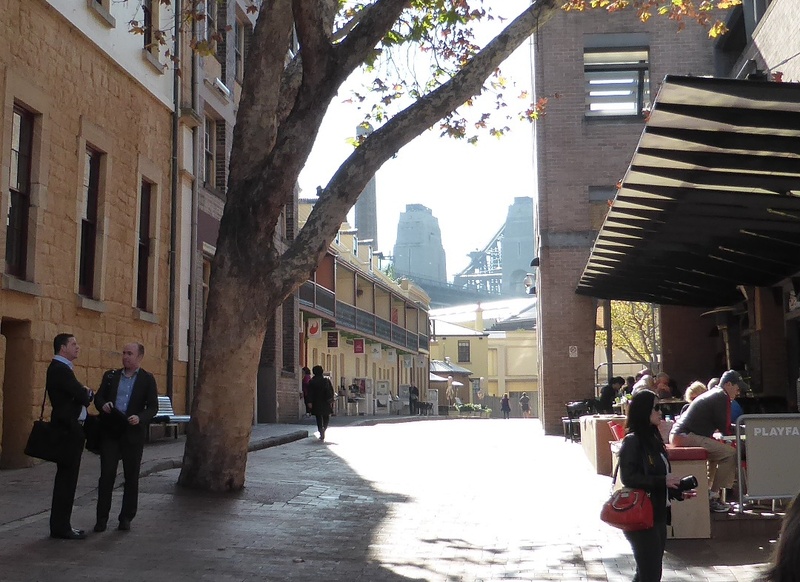 The congestion and traffic problems of Sydney could make some people skip it in favour of quieter places. 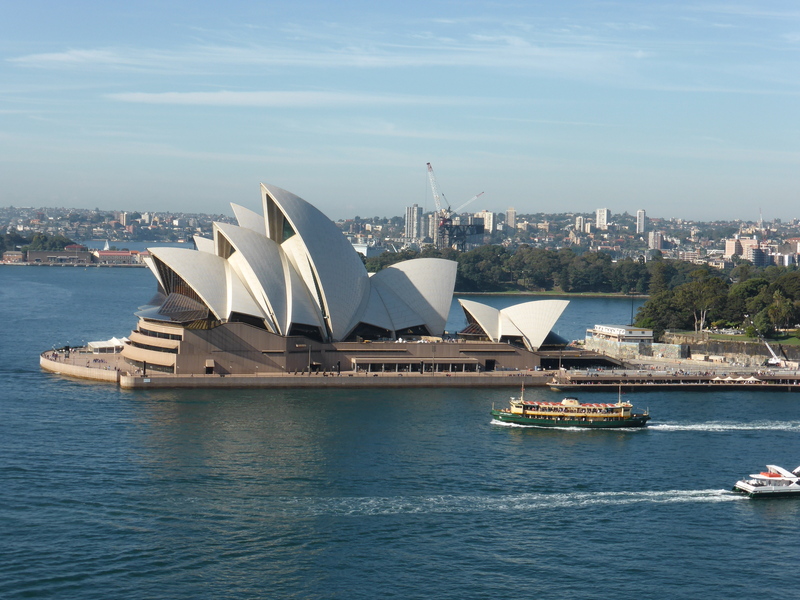 In my view that is a mistake, no trip Down Under would be complete without a visit to Sydney Harbour. If you haven’t been – put it on your list. It delivers for me every time. This entry was posted in Countries, Travel and tagged Australia, photography, Sydney, Tourism, Travel, Visits by kevinmayne. Bookmark the permalink. Beautiful pictures! Never been in Australia so thanks for the tour 🙂 What did you like best? Still got a post about 2 days in the Blue Mountains to come – that would be a highlight too alongside Sydney. No big excursions into the country or beauty spots like the coast this trip unfortunately. Beautifully written, with wonderful photos. 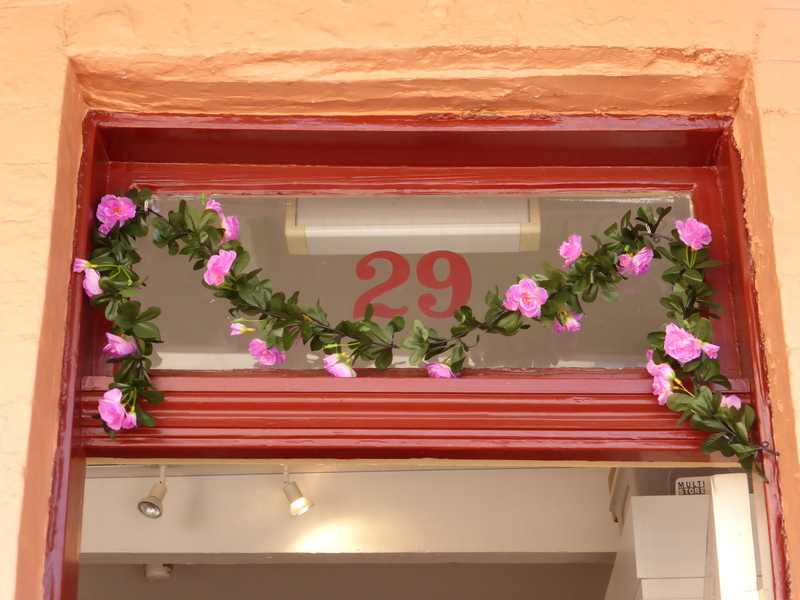 Thanks again for being one of my regular readers and followers Judy – always encouraging.